Established in 1986, Chapel Jewellers are a family firm who understand the beauty, sentiment and value of jewellery and watches. Whether you’re purchasing an item from us, commissioning a special piece, redesigning or repairing a beloved item, or simply wanting to sell a piece of jewellery or a watch, we can help. Specialising in new and antique fine jewellery and watches, we have an excellent reputation and a superb selection to suit every occasion. Offering exquisite pieces at sensible prices is our forte, and we’re always happy to give advice! Based in Eyemouth, we have professional connections throughout the world and can obtain any special item of jewellery or a particular watch that you’re looking for. 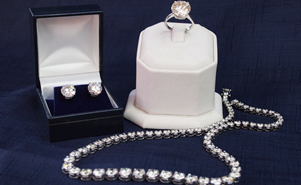 We undertake valuations of both jewellery items and watches for insurance, probate, and investment purposes. Naturally we understand the more practical side to jewellery and watches as investment pieces which have a market value, as they represent an asset which can be quickly and easily rendered liquid. This economic aspect is one which is particularly important in today’s current economic climate. Simply make an appointment for an assessment of your valuables at a time which is convenient to you, or bring your items in to Chapel Jewellers, and we will be happy to give you an appraisal for a modest fee based on a percentage of the total value of the items. This can then be used as evidence of value for insurance companies. 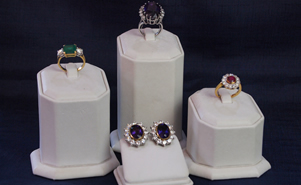 Antique jewellery can have a very special meaning or family heritage. 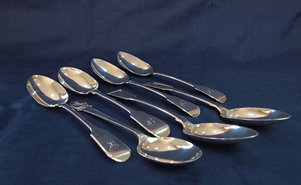 At Chapel Jewellers we have an exciting selection of beautiful and individual antique pieces from the 18th, 19th and 20th centuries: Each one an individual, which can be honed to suit your exact requirements in our on site workshop. Rings can be altered in size to give a new lease of life, chains lengthened, and pearls restrung. There’s no job too big or too small. Bring back the lustre and scintillating sparkle to your favourite items of jewellery with a professional ultra sonic clean; have your ring reclawed or a worn shank replaced, and you’ll feel like you have a brand new item, for a small fraction of the cost of a replacement. In our workshop we create new designs on commission, from your ideas, and bring them to life in precious metals and gems. Simply make an appointment to discuss your commission and we will be delighted to design a truly individual piece for you with our personalised bespoke design service.